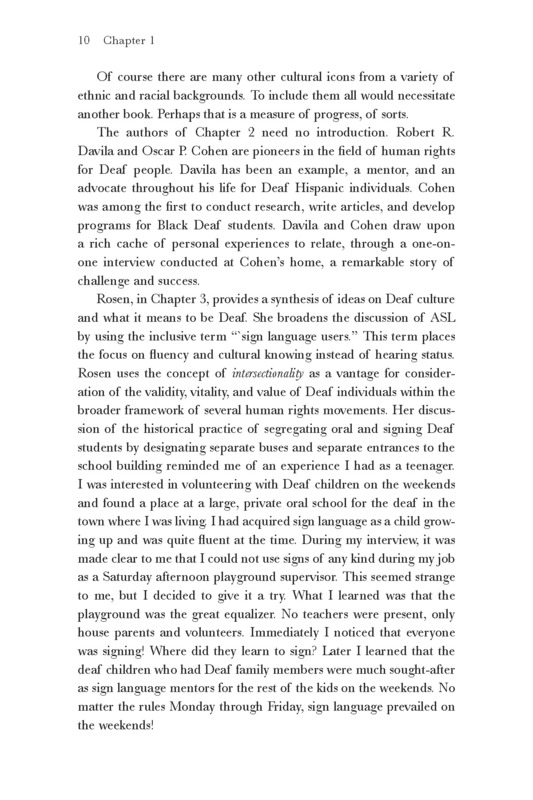 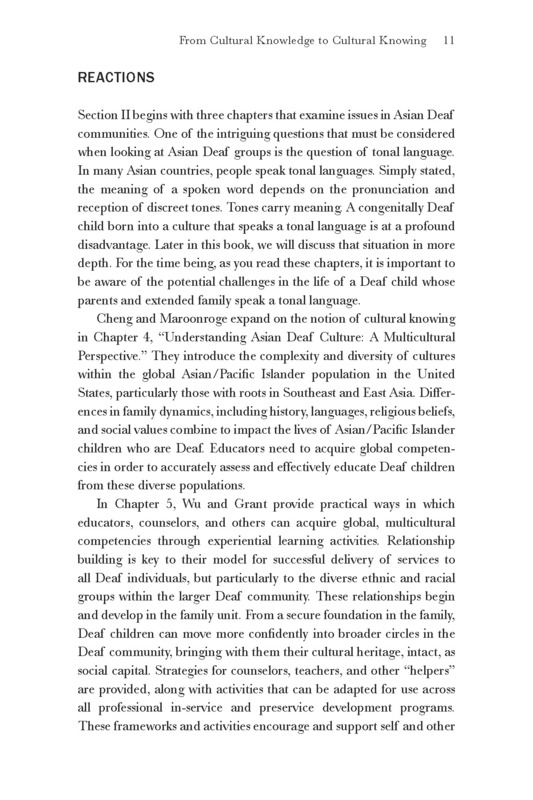 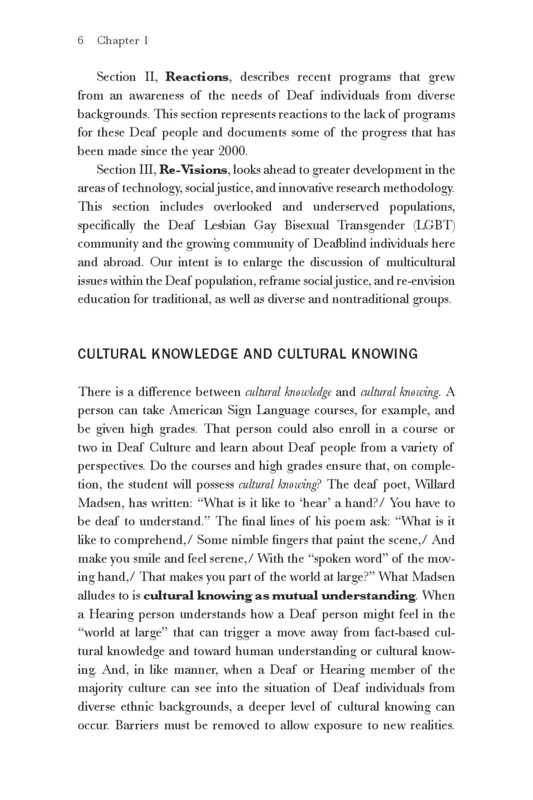 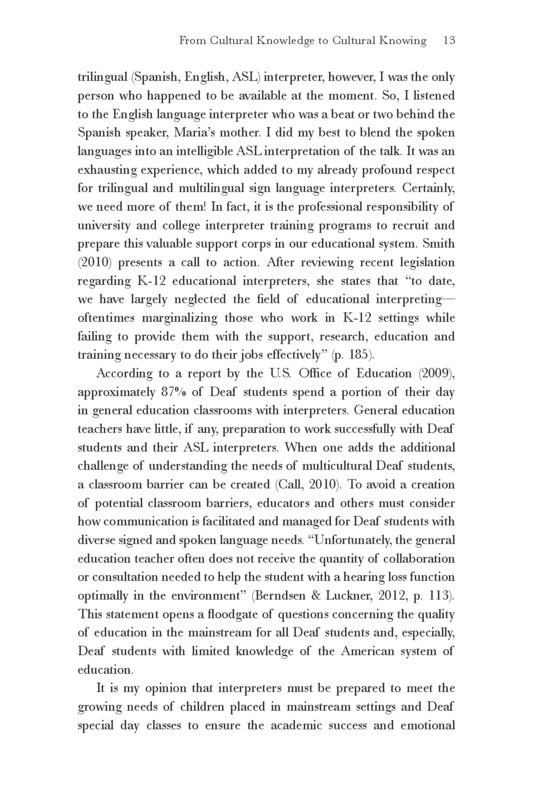 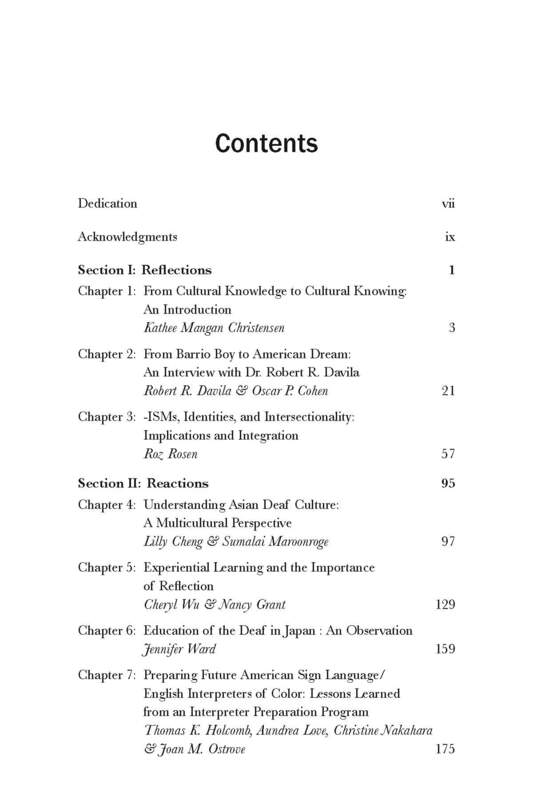 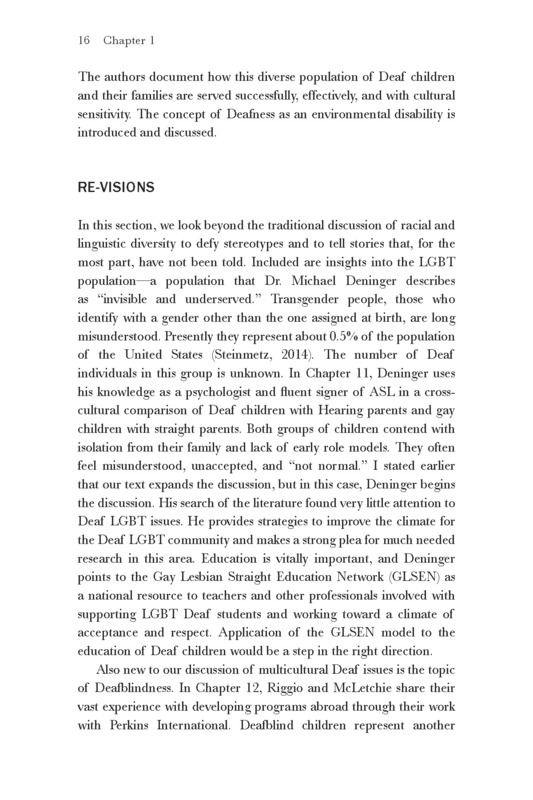 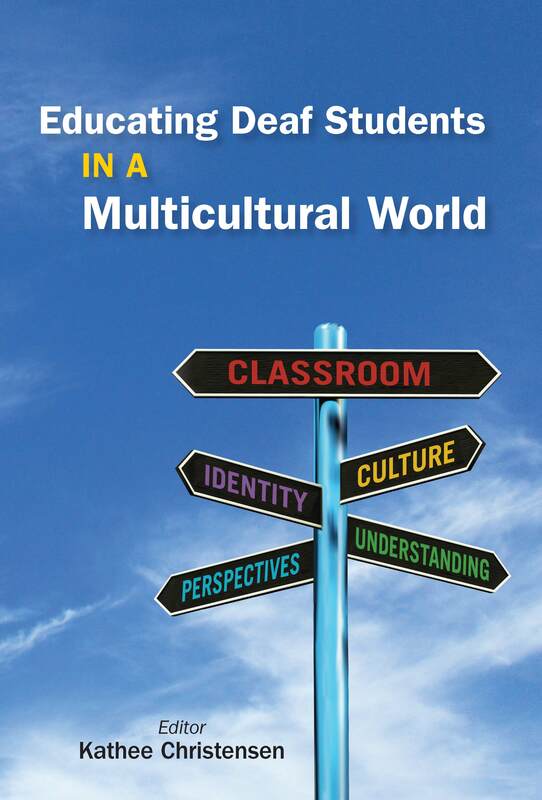 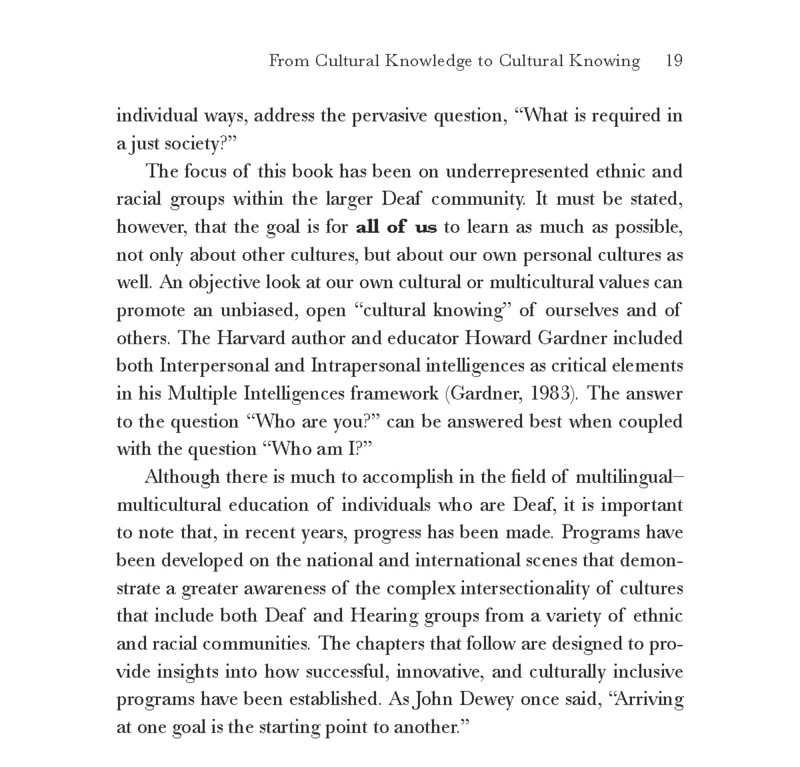 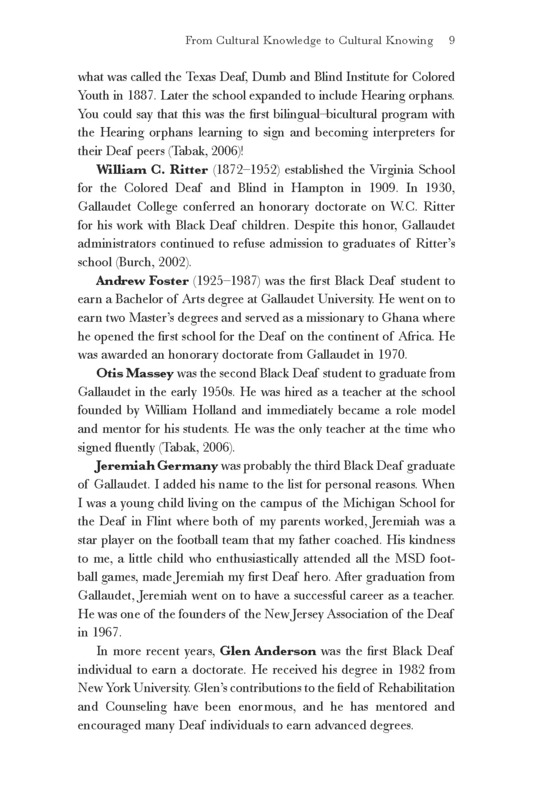 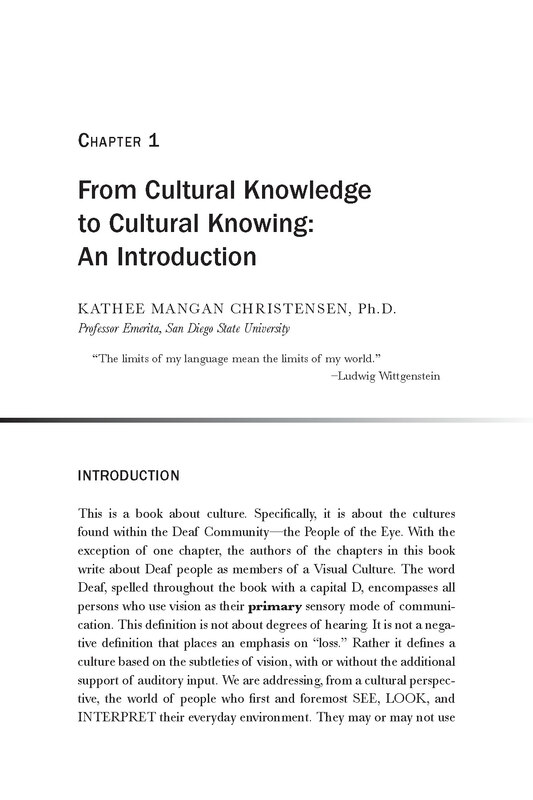 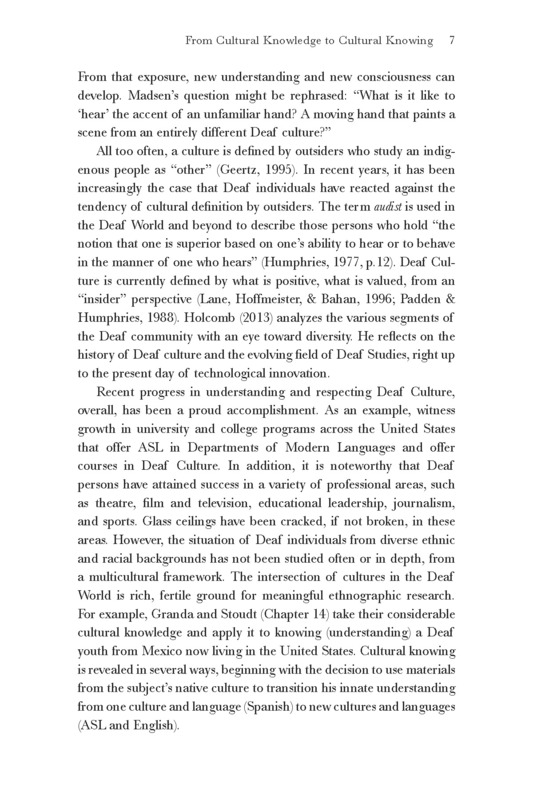 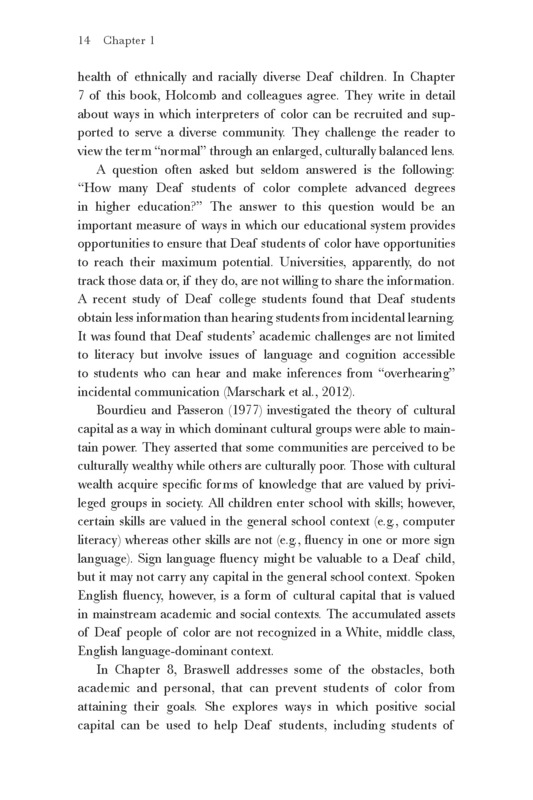 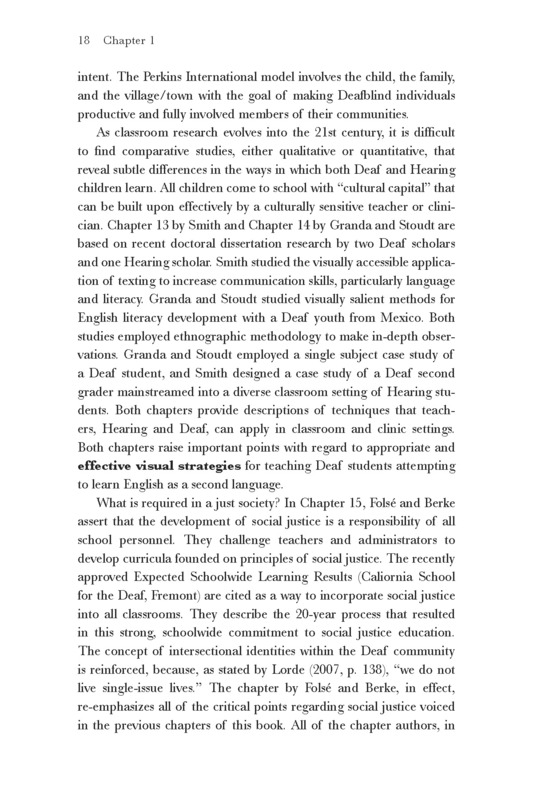 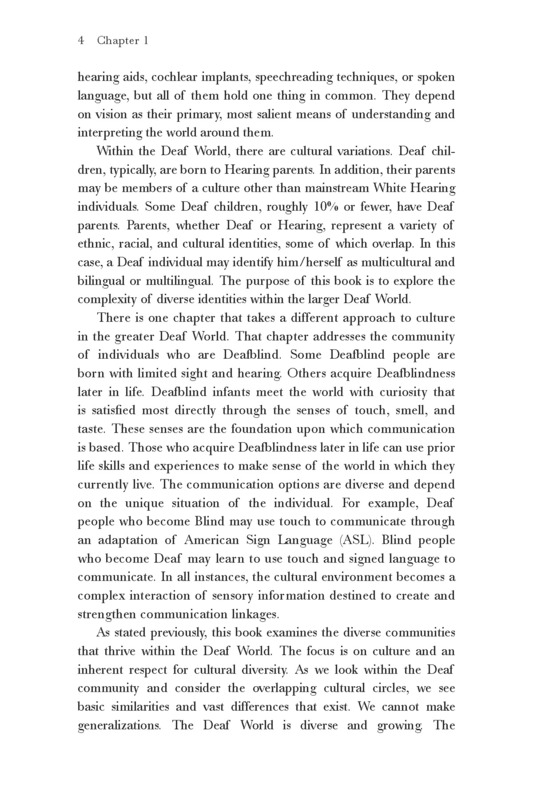 Educating Deaf Students in a Multicultural World is a collection of chapters that seeks to deepen the discussion of multicultural issues within the Deaf World, specifically related to education. 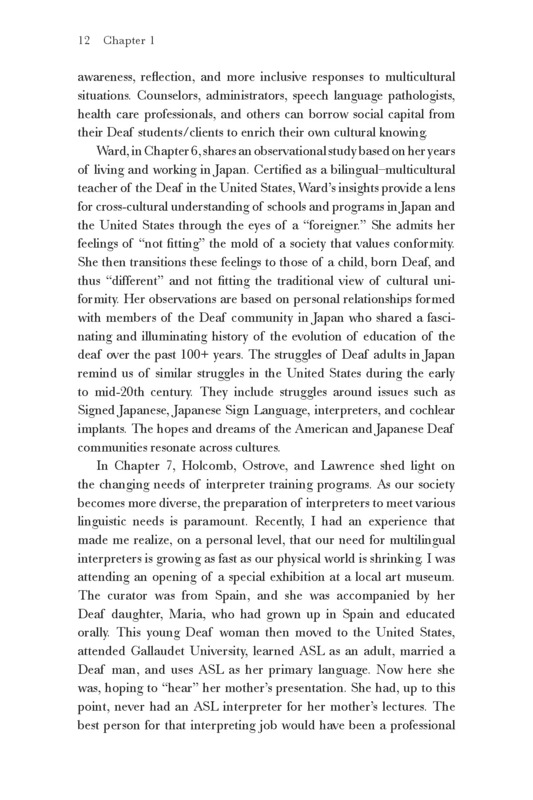 The Deaf World is diverse and growing. 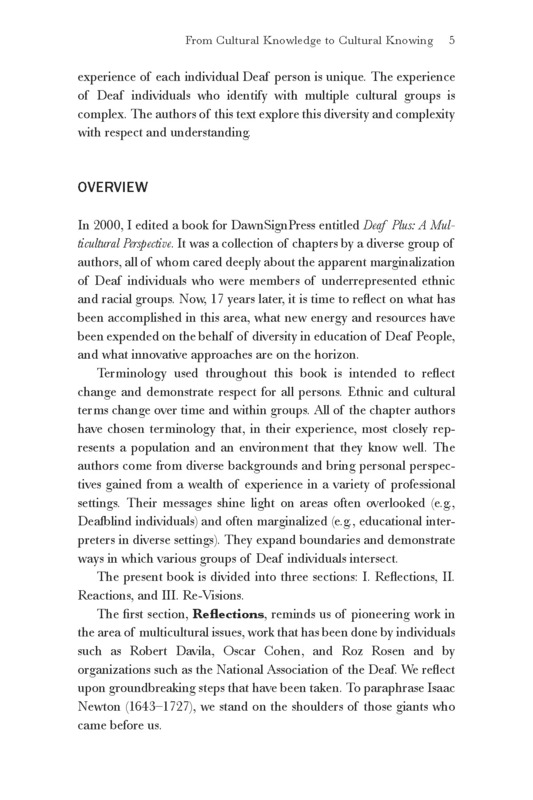 The book's three sections - Reflections, Reactions and Re-visions - look back at pioneering work, describe recent programs or the lack thereof, and look ahead in the areas of technology, social justice and innovative research. 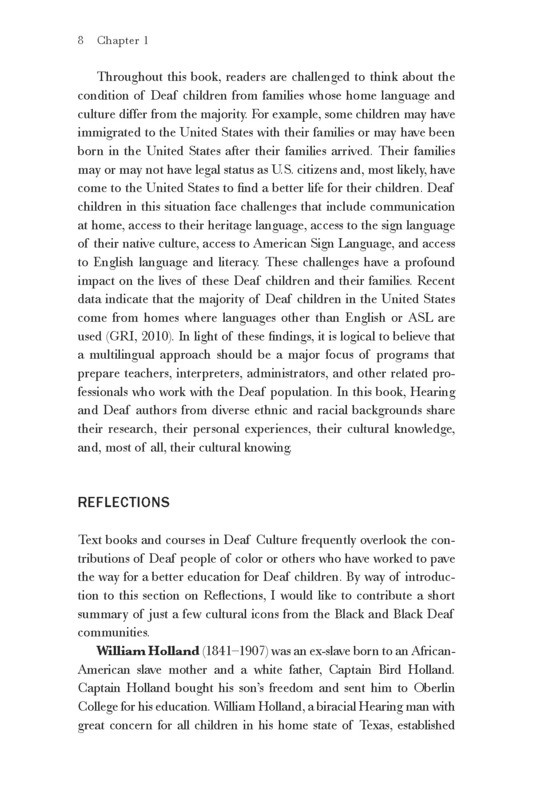 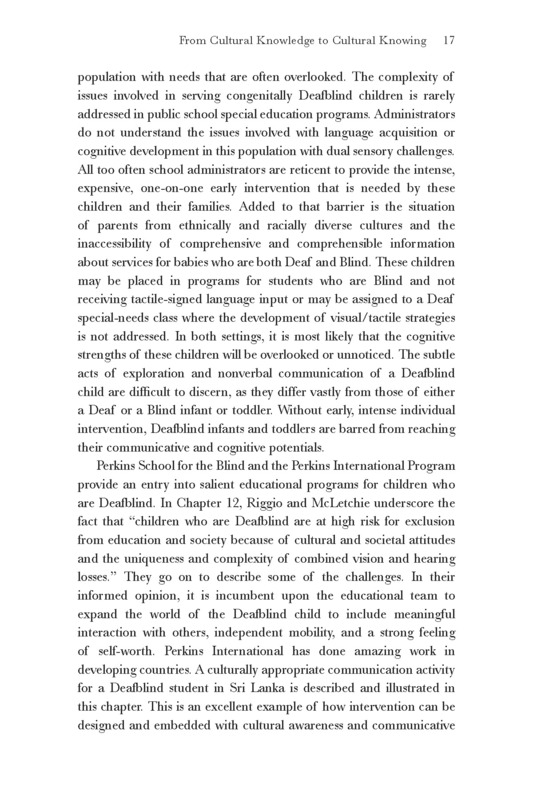 With a focus on culture and an inherent respect for cultural diversity, these sixteen chapters offer teachers, administrators, social workers and families with Deaf children invaluable insights into the unique experiences of Deaf individuals. 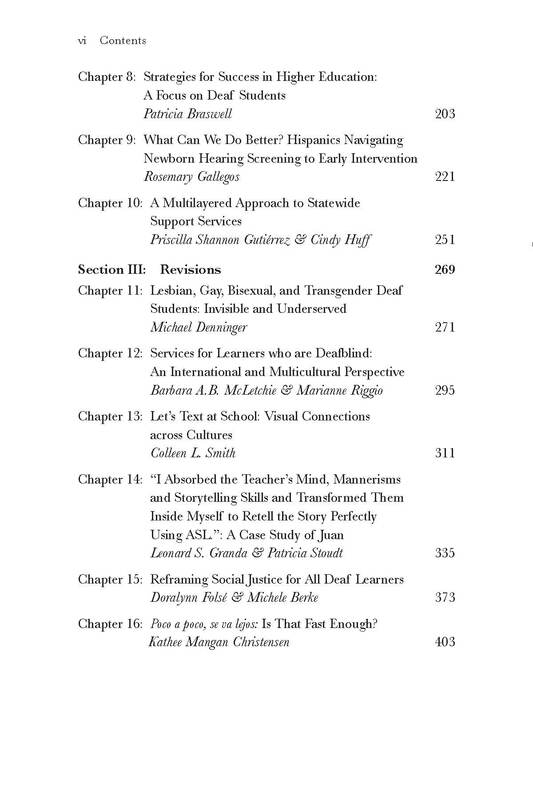 *Click on Sample Pages to see the Table of Contents and all the great contributors!